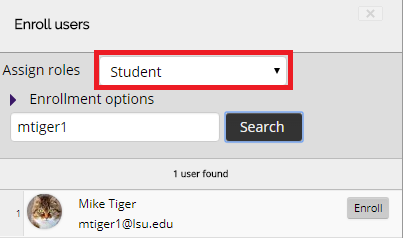 Primary and non-primary instructors are automatically assigned in Moodle via information received from the mainframe based off assignments made by departmental staff. However, on occasion instructors will find that the need to assign additional instructors or add students to a course becomes necessary. 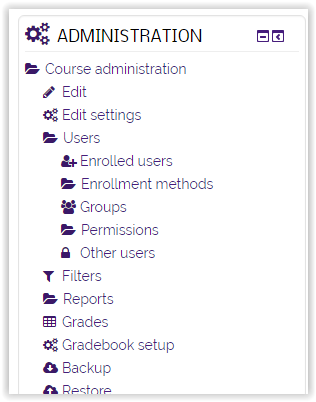 Non-Editing Instructors cannot edit course content, but can view, enter, and edit students' grades. Students CAN participate in assignments; however, they generally have few other privileges within a course. Guest instructors CAN do almost anything that Primary Instructors can do; however, they CANNOT post grades to the Registrar during midterms and finals. Non-Primary Instructors CAN do almost anything that Primary Instructors can do; however, they CANNOT see or modify grades for students outside of their assigned section or group and they CANNOT post grades to the Registrar. Group Teaching Assistants - TA (Group) - CAN do almost anything that Primary Instructors can do; however, they CANNOT see or modify grades for students outside of their assigned section or group and they CANNOT post grades to the Registrar. Untimed Students is a role that allows for students to take as much time as needed on quizzes and exams, regardless of the time limits set for the activity. No Grade Teaching Assistants - TA (No Grade) - CAN edit all course content but CANNOT see student quiz responses, assignment uploads or responses, or grades. They also CANNOT see the grade book or modify grades for students and they CANNOT post grades to the Registrar. 1. Log in to Moodle and select the desired course. 2. Click the Users link, located under the Administration Block. 4. 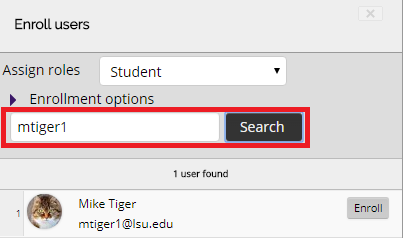 Select the Enroll Users button, located in the top-right corner of the screen. 5. A new dialog box will display. To get the most accurate results, type the PAWS ID in the search box and click on Search. (ex. mtiger1) This should return only one result. 6. To assign a role to a user, click on the drop down menu and choose the role you would like for them to have. 7. Click on Enroll to the right of the user's name. You can continue to add more users if you wish by repeating steps 5-7. 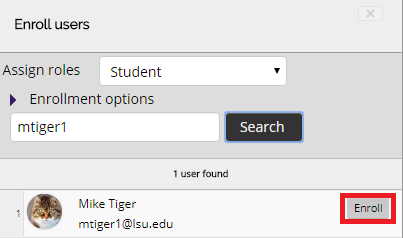 NOTE: If the person has never logged in to Moodle (moodle3.lsu.edu), you will not be able to add them to any roles. Please have that person log in with their PAWS ID and password. Once they have logged in, their account will be active and you should be able to find them. 8. Once complete, click Finish enrolling users, located at the bottom of the dialog box. 1. Click the people symbol beneath the Groups heading. 2. Click to select the user group/section you want to add. To select multiple groups/sections, click on one group/section, hold down Ctrl on your keyboard and continue to select more sections. 1. Select the Assign Roles button between the Roles and Groups columns. 2. Select the role you wish to add to this user from the pop-up menu.